Our MD Andy Miles has spent time over the last year working with the Peter Jones College at Leicester to support the students with their Business Planning and Strategy. Additionally supporting the ILM course with crisis management and crisis planning. 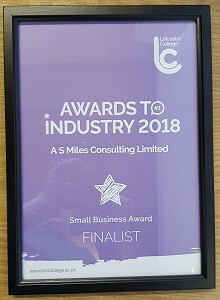 Thank you Leicester College for the recognition.